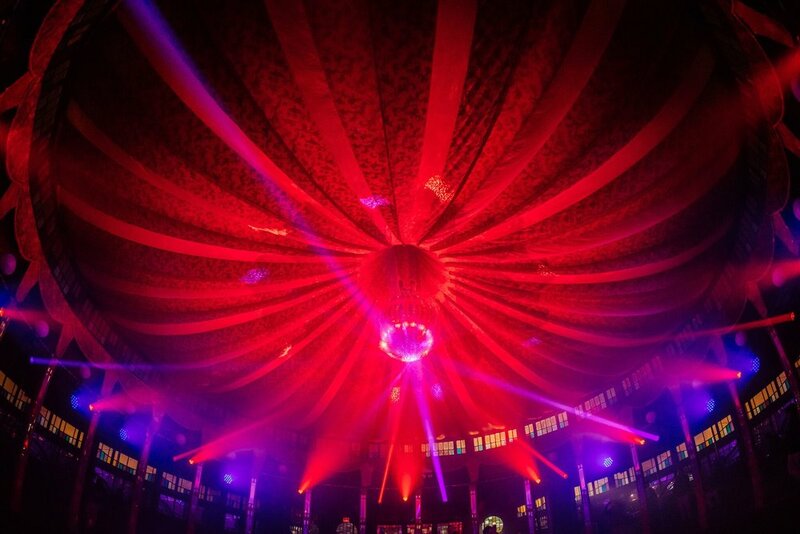 The Lost Circus exists within the circular framework of a lavishly decorated 1920's vintage Belgian Spiegeltent. 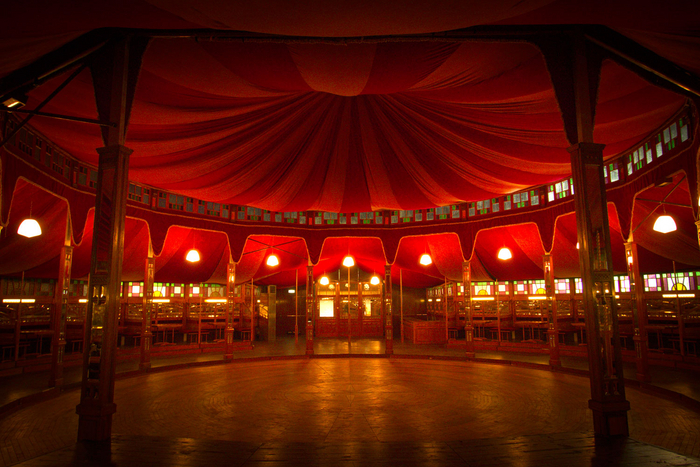 Table seating with velvet booths and mirrored walls line the outer edges of the wood-slatted dance floor, and a small stage gives performers the perfect vantage point to amuse an audience. 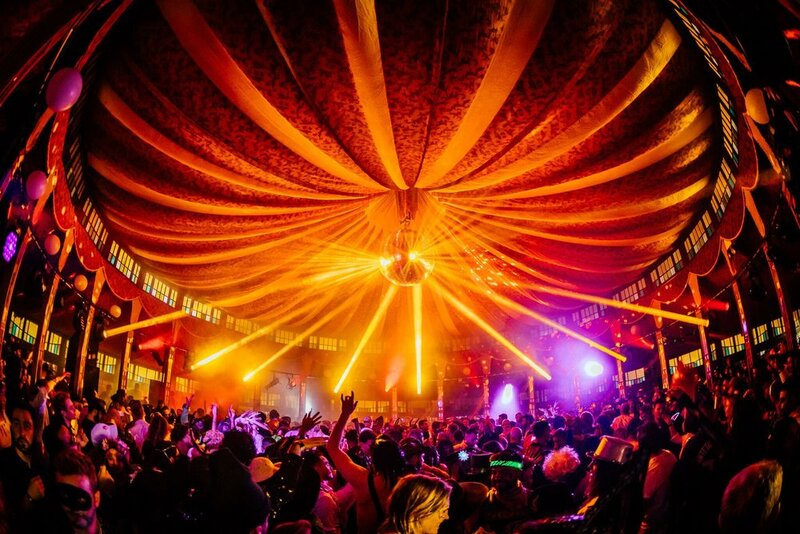 With an array of dance-floor lighting and speakers lining the edge of the center ring, this Winter attraction cannot be missed. FOH is located on house left floor main floor 50’ from the DS Edge. A single 3’ x8’ table is provided though can be enlarged if required. ­Each stack contains (1) VHD2.0 [3­Way 2x 12”, 2x 8” and 1x1.4” CDs], (4) VHD2.16 Sub [2x 15”], and (8) VHD4.18 [1x 18”] All enclosures are powered by matching KV2 Audio VHD2000 and VHD3200 amplifiers. All enclosures are powered by matching KV2 Audio VHD3200 and EPAK2500R amplifiers.